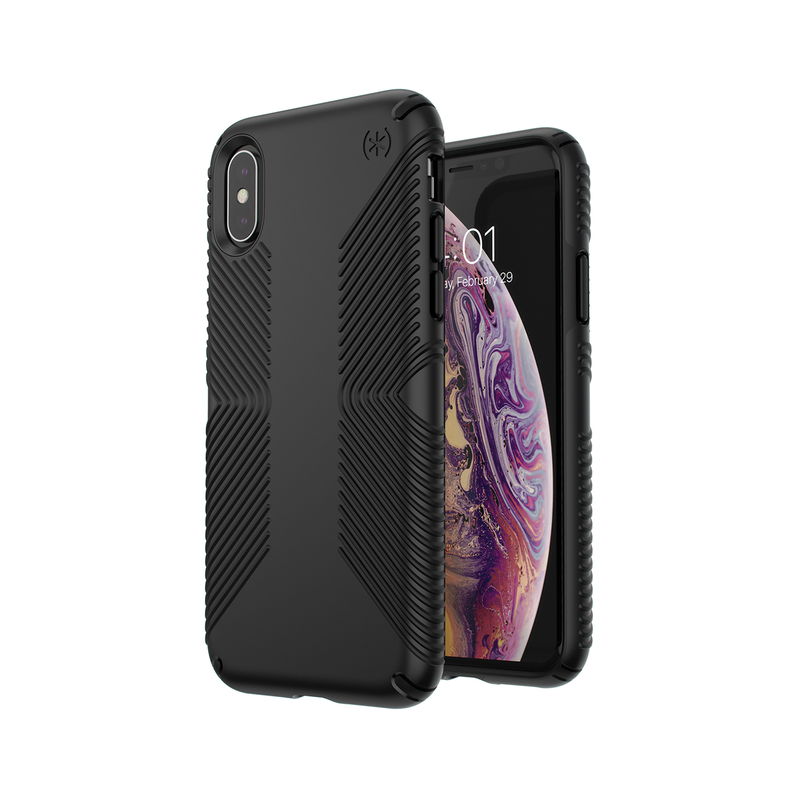 Slim, two-layer Speck Presidio Grip Series case. Military tested, 10 foot drop protection. Ridges of IMPACTIUM material on the inside perimeter compress on impact to absorb and disperse shock. Dropped from 10 feet multiple times by independent labs to ensure superior protection.